Over time . . . it’s dawned on me: Go Texan Day isn’t about being Texan. It’s about becoming Texan. Here in Houston, most of us weren’t born here. And even the natives rarely grew up roping and riding. Most days of the year, we don’t look the way that Texans are supposed to look. But once a year, just before Rodeo, we do. We dress up in what, for most of us, are costumes. We turn ourselves into Texans. No matter where we started out — no matter which state, which country — we are here now. We swagger and play-act and refuse to be dull. Outsiders don’t realize how new most of us are to the role. And that, you realize, is how Texans have always become Texans. We don’t just settle in this state; we enact it. Like I did. 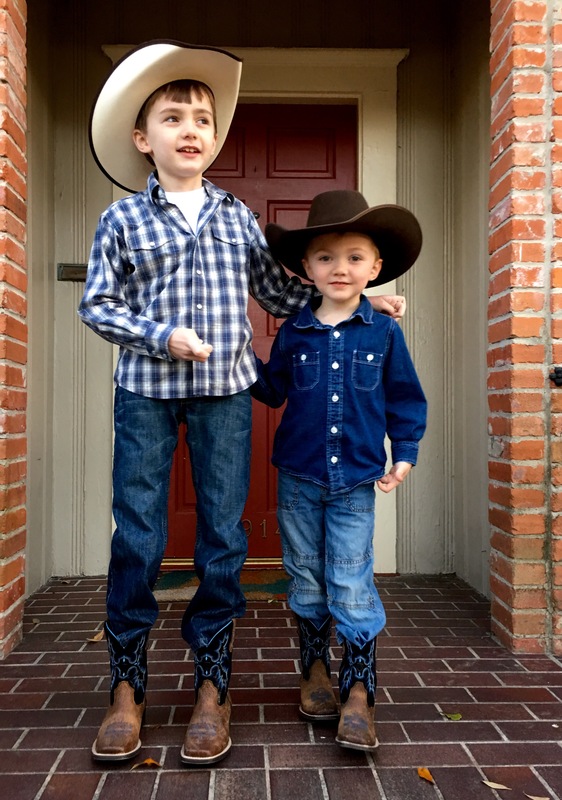 The boots make us Texans. And Texans make Texas. we all belong here. Yee-haw!